For some reason I woke up today thinking about "chops"
- not the meaty variety that we might throw on the summer grill, but musical chops. One of the highest compliments that we can pay to a musician is to say they have "great chops." Great chops is not limited to any particular style or genre of music. It is a generalized measure of a musicians' technical prowess and intellectual accomplishment in their particular area of musical specialization. Charlie Parker, Oscar Peterson, and Bill Evans all come to mind as prime examples in the jazz arena. They all had an exceptional command of their instruments and of the musical system in which they could spontaneously create music. Although Bill Evans was not known for destroying pianos with his powerful hands, his formative technique was of the intellectual sort. Jazz musicians invent and perform a lot of their music in the moment, yet the amount of time they invest in meticulous study is what sets them apart from the ordinary. No one is born with the innate ability to play music at their level without the hard work and years of intense practice that prepares them for the task. 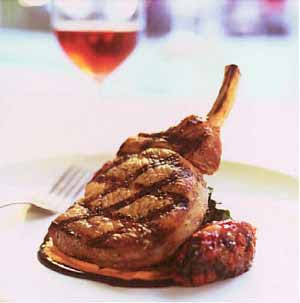 Great chops aren't automatic or easily acquired. It takes commitment, dedication, personal sacrifice, and a human investment that few people willing to make. Classical musicians are also known for their chops. From Chopin to Liszt to Rachmaninoff, we have numerous historical examples of amazing accomplishments in musical technique and ability. But even in this musical genre, technique alone is hollow and impotent if there isn't genuine wisdom behind the musical impulse. The acquisition of chops includes not only a physical ability to manipulate the keys of an instrument with dexterity and proficiency, but the ability to make the resultant music resonate with the listener in a meaningful and coherent way. Playing lots of fast flourishes is one thing, but finding the right articulation, phrasing, expressive arch, and musical intent is also a highly challenging musical feat. Where do composers fit into this discussion? Were are their chops? Usually the first question that comes after I explain that I am a composer is: "What instrument do you play?" Personally, I find this a difficult question to answer, and to some extent it relates to the subject of chops. I've played a variety of instruments, but have mastered none of them. While there are many accomplished composers who are also accomplished performers on one (or more) musical instruments, I would estimate that they are in a minority. Playing an instrument (or singing) at a professional level while at the same time practicing the art of musical composition with the intensity and dedication that it requires is a daunting proposition. It can be done, but not everyone has been successful in doing it. Composer-performers and composer-conductors have a distinct advantage in the cultural milieu. There are many clear examples of this symbiosis and synergy: conductor-composer Pierre Boulez comes to mind. One would assume that his career as a composer received an enormous boost from the fact that he is also one of the world's leading "Maestros." Perhaps the general public is more willing to take a chance on his modernist musical works because they are familiar with his interpretation of the orchestral classics. And of course there is the practical benefit that someone in that position assumes by being strategically placed to program their own works and generally promote their parallel careers as composers. But it is extremely difficult to be the master of two professions. Boulez resigned as Music Director of the NY Philharmonic to go to Paris to be a composer again. In more recent times, the Music Director of the LA Philharmonic - Esa-Pekka Salonen - resigned his post with that great orchestra to devote more time to composing. It's hard enough to acquire the chops needed to function as a musician, conductor, or composer. It's another thing to find the time to continually study and actively maintain those chops. For this reason, I would say that most composers let their instrumental technique play second fiddle to their primary objective, which is dedicating their energy and thoughts to the process of creating new musical works. The act of composing is not an insignificant or easy task, and it requires a skill set and frame of mind that is equivalent to a practice routine that any accomplished instrumentalist would religiously follow. Pianists practice scales and arpeggios. Composers manipulate notes according to rules of harmony, rhythm, and counterpoint. It's mental gymnastics and requires years of preparation and persistent regular practice. In this sense, composers have chops too, and like their instrumentalist colleagues, need to regularly practice their craft otherwise their technique will decline and grow stale. As the world of technology has invaded our lives, professional musicians are rethinking the traditional meaning of chops. What does it mean to play accurately and quickly when computers can manipulate, correct, and control every minute detail of a live or recorded performance in real time or retroactively? Why should an electronic musician spend decades practicing traditional scales and arpeggios when it can be easily programmed on a digital sequencer? To their defense I will say that electronic instruments - from the Theremin to the Synthesizer - are instruments that require different skills sets and new abilities. For example, I believe that anyone who is deep into computer music would benefit from programming skills and a general knowledge of acoustics and computer science. Digital instruments are perhaps even more demanding and challenging for the instrumentalist than those of the brick-and-motor variety sort. With the new electronic instruments there is less of a tradition and history to base a performance practice on. Today's musicians have to invent themselves anew. On the other hand, the infusion of technology has made some aspects of music creation too easy. By pushing a few buttons, something vaguely resembling music can be extracted from a commercial electronic keyboard. Complete amateurs are bolstered by mass-produced solid state technology, and this works to the detriment of professional musicians who dedicate their lives to it and take their craft far more seriously. It's also unfair to say that unless someone has slaved in a steamy practice room for 10-12 hours a day for 30+ years that they have not earned the right to express themselves musically. The introduction of electronic instruments has simplified performance and lowered the barrier of entry for the general public. It has democratized the playing field. The field of musical performance (and musical composition) is no longer restricted to a small group of guild members who acquired their chops the hard way and can prove it by exam. Like it or not, for better or worse, there are some individuals who took a shortcut and avoided the hardship of learning the fundamentals of traditional music. I will always respect musical chops that were acquired the old fashioned way. The musicians mentioned above all worked like dogs and made great sacrifices to develop their style and musical expression. For them, there were no short cuts or easy buttons to press. At the same time, we have to acknowledge and embrace technology in the field of music. Technology not only gives us more options, but it can amplify and expand the abilities, talents, and ideas already present in a fully-trained and experienced musician or composer. It can transform not only the way we hear music, but the way we think about it. For those of us who can't make it to the Salzburg Festival this summer, there is a hi-tech alternative. Siemens AG is offering access to Mozart´s Così fan tutte (directed by Claus Guth) via webstream on the Internet. I checked it out. The sound is good and the video is HD (although a bit jerky). My Verizon FiOS was pumping out a whopping 6135 kbits per second riding over rtmp on port 1935. Mozart would have been pleased. You will have to purchase a ticket online for € 7.90, but the opera can be viewed once again on-demand for up to 7 days after the actual performance. Once you purchase your e-ticket, you will be receive a username and password so you can login to the virtual Opera House. If Wagner is more your cup of tea, Siemens AG will webstream Tristan und Isolde (Christoph Marthaler's production) on Sunday August 9th, 2009 at 3 PM from the Bayreuth Festival Theatre. Online tickets cost €14.90. You don't have to leave the comfort of your home to experience high "culcha" as long as you have broadband and a credit card. Pass the Budweiser and chicken wings. No, this is not a marijuana plant. Bee Balm has a long history of use as a medicinal plant by Native Americans. 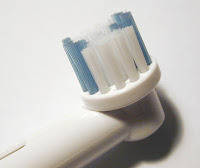 It contains a strong antiseptic property from Thyrol and can be used as an herbal tea (some mouthwash formulas use it as an active ingredient). Oregano (an anglicized form of the Italian word "origano") is in the mint family. It is native to Europe's Mediterranean region and southern/central Asia. It works well with spicy foods and is a primary spice for pizza. Oregano grew in popularity in the US when WWII soldiers returned with a pizza craving. We still need to make trips to Trader Joe's for the basic food staples, but our suburban "recession garden" and it is doing quite well. This little reflective red dot is in your future. Just when we have grown accustomed to the ubiquitous beeping sound at supermarket checkout lines as our items are magically scanned at checkout, a new technology is about to emerge. 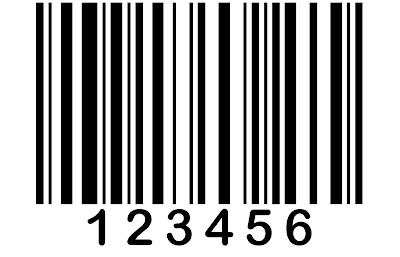 Standard Barcodes have been around for some time. They use a 2-Dimensional technique of optical encoding to store information information digitally. 1) It requires much less space. It's about the size of the "@" symbol. 2) It can be read from a distance, up to several meters away. 3) It can store more information: thousands of bits. 4) It can be read by standard digital cameras, which are now common in cellphones, etc. Bokode uses a brand new system of encoding visual data. It utilizes the angular dimension where light rays vary in brightness depending on the angle at which they emerge. 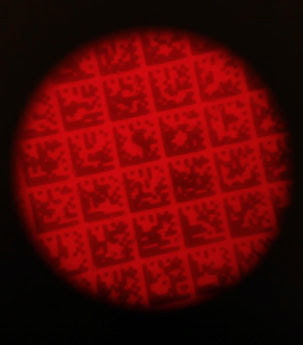 The digital camera has to go into an "unfocused" mode to receive the digitized Bokode image. It will do more than replace the archaic Barcode. It will find new applications that we can't even imagine. I would like to credit fellow music blogger "Soho the Dog" (a.k.a. Matthew Guerrieri) for bringing this one to my attention. This is about a software assisted audio-video collage derived from multiple YouTube videos of assorted cats playing the piano and reassembled in such a way as to recreate all three movements of Schoenberg's historic Three Pieces for Piano Op. 11. The video creator - Cory Arcangel - describes himself as "a 30 year old computer programmer, cyber sculptor, comedian, web designer, and artist living and working in Brooklyn." 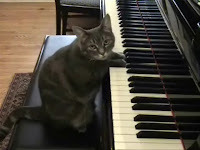 He used Comparisioncs software to compare pianist Glenn Gould's recording of the original Schoenberg work against a large file YouTubes collected of "random" cat-generated notes and chords. The Comparisioncs software then suggested sections that were similar on a note-by-note basis. From that Arcangel made final choices and wrote a script that reassembled fragments from 170 YouTube videos into something that vaguely resembles the Schoenberg composition as played by Glenn Gould. It seems like a fitting way to celebrate the 100th anniversary of Schoenberg's historic piano work, which dates from 1909. Too bad that the cat's pianos were out of tune. Katharina Wagner was not well received at the month-long Bayreuth Festival in Bavaria Germany on Sunday after making her debut as Director of the annual summer music celebration which was begun by her great-grandfather, Richard Wagner. After the performance of "Die Meistersinger von Nürnberg" the audience booed her for staging a production of the opera where the part of Walter (the young knight) was cast as a graffiti artist. 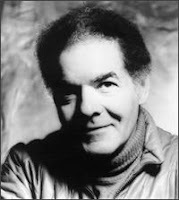 Merce Cunningham, Michael Steinberg, and George Russell all passed away over the past few days. All three men made their mark in the music and dance world, and I'm sure that they will receive fitting tributes, lengthy obituaries, and memorial services that are commensurate with their significant achievements. While I do not claim to have known them, I did meet each of them briefly. 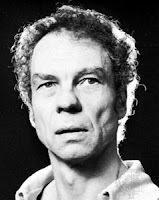 Merce Cunningham had provided a public question and answer session at Harvard around 1978. I always appreciated how he always used contemporary and experimental music for his dance works, and did not revert to pop or older music in his work as so many choreographers frequently do today. I recall one little detail about his comments that evening that have stuck in my mind all these years. He said that he is always very careful to organize works so that dances will not injure themselves by crashing into one another on the stage. He was willing to experiment with improvisatory structures, but not at the expense of personal safety. 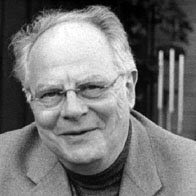 Michael Steinberg was Director of Publications, editor, author, and annotator for the Boston Symphony Orchestra when I first came to Boston in the 70s.. I recall talking with him in the second floor cafe at Symphony Hall during the intermission. He had written program notes for the Berg Violin Concerto, and Steinberg and Gunther Schuller were looking at a photograph of the famous portrait of Alban Berg on display in the room (where Berg is looking out of a window above a painting of himself). Of all things, we spoke about the unusual circumstances surrounding Alban Berg's death. George Russell was a fixture at the New England Conservatory. 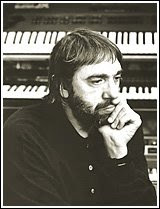 He was the quintessential jazz composer, and did not shy away from new techniques, electronic music, and avant garde methods of music making. He was a formative mentor to musician friends of mine (e.g. Marc Rossi), and I had met him around the time he won the MacArthur "genius award." His theoretical treatise "The Lydian Chromatic Concept of Tonal Organization" was developed in the 1950s, and had evolved into a significant jazz movement with a dedicated following of practitioners. Try sniffing green apples. Research has shown that sniffing them increases our perception of open space. Take some green apples with you on an airplane if you dislike small spaces. You'll feel less cramped. 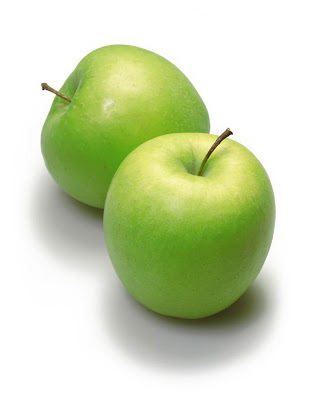 Place a bowl of green apples in the kitchen to make it look bigger than it actually is. In our age of "better faster cheaper" education, a niche publishing market has flourished. Wiley Publishing Inc. has been very successful with their for Dummies books. A search on Amazon.com turned up 3,297 titles in the series. Self-admitted Dummies can learn the basics about String Theory, Global Warming, Space Exploration, Auto Repair, Cloud Computing, Knitting, Japanese, and Second Life (just to name a few popular subject areas). The "for Dummies" series is positioned to provide practical information presented in a consistent easy-to-read style. The publishers' trademark is a catchy black-and-yellow paperback cover and silly titles. But in general these books do provide some useful information about topical or trendy subjects and aim to explain in common language concepts that are often complicated and intimidating to average people. These books strive to be user-friendly, concise, and up-to-date. 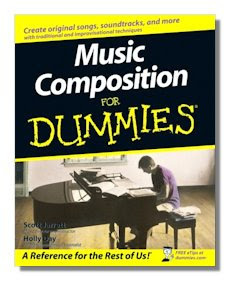 You can imagine that it caught my attention when I discovered Music Composition For Dummies while browsing in the bookstore. First, I was a little surprised that there is a market for this topic. But given the societal gravitation toward quick and easy self-improvement, I could see that some people would want to learn "just enough" about music composition to get by. Perhaps there are busy people who want to compose, but can't take lessons, make the time commitment to learn the craft, or just want to learn enough to talk semi-intelligently about the subject. I see no fault in that. However, as someone who has studied music composition for the better part of a lifetime, I was impressed with the goal set forth by the authors to train the pure novice (or "Dummie") on the subject in the span of a few hundred pages of written text. So many great musical minds over the centuries have attempted to write books about musical composition - from C.P.E. 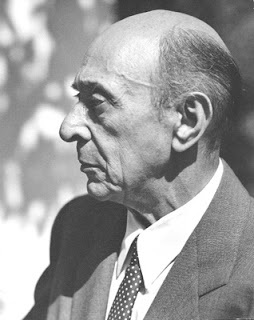 Bach to Arnold Schoenberg - and all of them have come up short in one way or another. For me, it has always been an impossible topic to write about, and the process of learning to compose music is one that takes many years of study, very hard work, and a broad understanding of an encyclopedia of technical and cultural details. Frankly, I don't believe there is a quick fix or shortcut to the traditional methods of study. Music Composition For Dummies (not to be confused with The Complete Idiot's Guide to Music Composition by Michael Miller - also by Wiley Publishing) sets the bar rather high. The publisher promises that the book "demystifies the process of composing music..." Authors Scott Jarrett and Holly Day have their work cut out for them, and they do their best to explain a very complicated subject to the absolute beginner. The authors' section headings are written like the job-description area of a good resume, with lots of "action words" and a positive sales pitch. While I don't that style of writing, the topics are quite appropriate and applicable to the making a musical work. From reading other reviews of the book, I gather that there are some qualms and quibbles about the wording and technical details within the text. For example, on page 148, regarding the development section of the sonata form the authors write: "The development often sounds like it belongs in an entirely different piece of music altogether -- it is usually in a different key and may have a different time signature than the exposition." When one over-simplifies any subject, misconceptions and misunderstanding can arise. Sonata form is one of the more complicated subjects in Western music, and it is very difficult to adequately grasp the concept of Sonata-Allegro form without studying a body of representative pieces that exist in the repertory. Renowned musicologist, scholar, and pianist Charles Rosen wrote an award winning book about this very topic, and even his rather extensive monograph will not serve as a definitive or complete discussion on the subject. Used in isolation without the experience of extensive musical examples, books alone can not provide a full and necessary understanding of the complex art of musical composition. Albert Einstein said, "Things should be made as simple as possible, but not any simpler." The same principle holds true in the field of music composition. Charles Wuorinen's book "Simple Composition" is actually rather complex. Given the complexity of musical language, it can't be reduced beyond a certain level. While I commend authors Scott Jarrett and Holly Day for their admirable effort to explain the art of musical composition to non-experts in just a few hundred pages, I don't think they ever had a chance to succeed in their task. However, given the constraints that they had to work within, it is not necessarily a bad book. However, Music Composition For Dummies is a book that I would never recommend in the context of serious study or professional musical training. I was curious to learn if the authors were professional composers - not necessarily university professors with academic credentials - but skilled musicians who compose for a living. I was not able to establish that fact. I do suspect that the authors are professional freelance writers who have published other "for Dummies" books on diverse topics and various user-friendly "how to" publications. It all goes back to my original point that consumers want their knowledge and skills "better faster cheaper." Why invest decades of time and countless dollars pursuing a traditional path of music education when you can purchase a book for under $20 and learn enough to get by? Presumably anyone who reads the book could call themselves a composer and impress others with their cursory knowledge of the subject at cocktail parties and the like. In my humble opinion, books such as those in the "for Dummies" series perpetuate the false notion that there is an easy way or short cut to learning complicated things. While there is nothing wrong about writing an introductory book about an advanced topic, marketing it as "A Reference for the Rest of Us!" beguiles the subject matter. It also insults the reader to make the assumption that they start from a position of abject ignorance and incompetence. I don't believe that book titles using the D-word are humorous or cute. It is now clear from recent discoveries using fMRIs in brain science that all humans are genetically pre-wired with innate musical ability and come to the table with amazing skills of aural perception and cognitive processing capability. Wouldn't it be better to start with that positive assumption rather than assign demeaning labels to interested students or beginners? Perhaps I should write my own book. 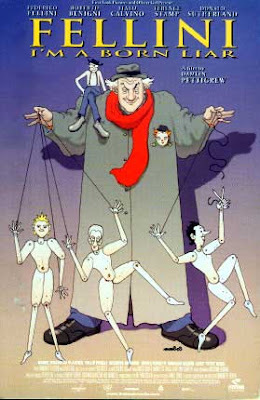 Last light I viewed on DVD the documentary film Fellini: I'm a Born Liar (2002) by Frenchman Damian Pettigrew. 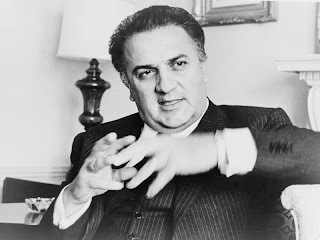 The movie is based on candid interviews that Pettigrew conducted with Federico Fellini in Rome during the two years before the iconic movie directors death in 1993. Having grown up seeing Fellini's movies, I've long been fascinated by his work and have always wondered how it came into being. This documentary provides valuable insight into the often chaotic collaborative process of making a film, and a backstage view into the interaction of ideas, images, and people who were involved as the ultimate story-telling participants. Fellini's observations about himself and the cinematic art form are rather well conceived, lead directly to the point, and are surprisingly honest. He speaks with objectivity and lack of pretense about his work, explaining his motivations along the way. 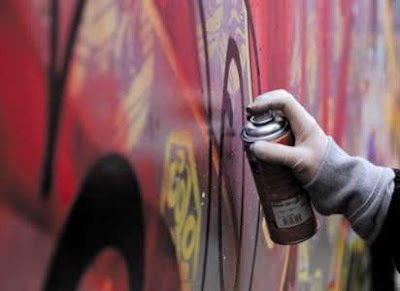 For example he said that artist needs both "fear" and something to rebel against. Fellini considered himself lucky to have had the career he did, having made the right friends at the right time. He explained that he would take an advance to make a movie and then spend it. As a result , he was then obligated to fulfill the contract and make the movie - otherwise it would never have been created. Fellini compared this to working within the walls of constraints, since in his view artists would probably never produce anything if they were given complete freedom from restrictions. Maestro Fellini viewed the oeuvre of his movies not so much in the context of change, but with himself as a stationary creator who playfully manipulates reality around him over the course time. For him, movie making was a form of self-therapy and analysis. By manipulating reality, Fellini is distorting the truth - hence the title of the documentary. Fellini calls this distortion "telling lies." 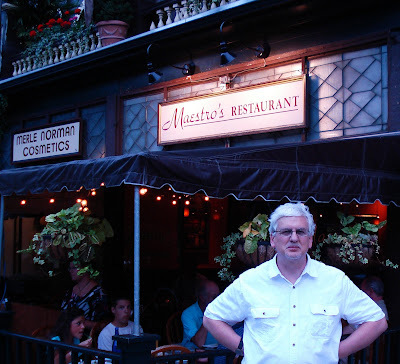 He confesses that his cinematic version of his home town in Italy has very little to do with the reality of that small village on the Adriatic coast. Over time actors went from being puppets and mannequins under his complete dictatorial command to improvisatory players who participated in the thematic direction of the film. Not liking the term "improvisation" he went on to explain that an artist needs to be prepared and ready to receive the creative idea, as if it were a gift. He viewed himself as a puppet who was following the orders of a higher power directing him. "I'm a Born Liar" has some interviews with his co-creators, screenwriters, lighting designers, and actors. A very insightful and thoughtful Donald Sutherland describes what it was like making the movie Casanova. There is even a discussion and view of a deleted scene from the movie Casanova where Sutherland wears a $700 purple shirt made from an expensive fabric that Fellini had insisted on. Actors Terence Stamp and Roberto Benigni are also very frank (and very funny) about their encounters with Fellini, and how stark raving mad the director could be at times. Fellini had experimented with LSD, and his on-set and off-set behaviors were often bizarre and highly irrational. Pettigrew's "I'm a born liar" is more than just a collage of interviews, since it contains numerous flashbacks of clips from Fellini's classic films. Pettigrew re-visits Fellini's language of light, shadows, and images by demonstrating how they are associated across his various films. Certain scenes, people, and sets reoccur as if they were symbols from a dream that Fellini obsessively has to share with us. In fact, Fellini describes a reoccurring dream involving Pablo Picasso and an omelet prepared by the abstract painter using a dozen scrambled eggs. We get audio sample of the musical themes from Nino Rota's soundtracks (La dolce vita, 8 1/2, Amarcord, and Casanova). Luis Bacalov's music for City of Women is also heard. However, I wish more discussion about the musical scores were addressed in the documentary. Music is an integral part of the Fellini experience. "I'm a Born Liar" is probably a film for Fellini-aficionados, since you need to have a little background in his work to appreciate it. But as a document of cultural history, I found it extraordinarily insightful. Using an old Roman system of objective criticism, I give the movie a solid "thumbs up." Remember George Orwell's 1984 and Animal Farm? Well, they are banned books again - in a sense. These two works are among the long list of landmark books that were once banned by certain governments. In the digital age, books are becoming less available in the traditional paper-bound format, and are being sold increasingly as download-able digital media for e-reader devices such as the Amazon Kindle. One would have thought that this was a good thing, since digital distribution is fast, inexpensive, efficient, and environmentally friendly. You would also think that once you purchased the content, that you own it - like any book on your bookshelf. Books are comprised of symbols that represent and form unique ideas, but they are also objects which can be owned and collected. Although governments can topple and society and shift in extraordinary and sometimes evil ways, your personal library should always be an individualized repository of information and an important source of reference. We can't assume that public libraries will retain a historical record of every book ever published, so it's a good idea to keep your own private stash of essential reading for yourself and the generations of readers in your family to follow. Enter Digital Rights Management (or D.R.M). This is software created to maintain strict control over copies of music, video, and electronic books. The technology allows the publisher to maintain total control over their product - even after it has been distributed to the consumer. It's a permanent umbilical cord from the vendor to the consumer, and can be used to track the usage of the e-book content for copyright infringement, or just for reasons of pure market research. D.R.M. a tethered system that has many advantages. Updates, revisions, and automated corrections could be provided seamlessly to the consumer, and if they lost their digital copy, a digital replacement could be easily streamed to their PC, Kindle, TiVo, XBox or iPod. Think of it as a kind of subscription service and maintenance contract. It's a new way of thinking about printed material (or music and video content). It assumes that we have a lot of trust and faith in the system, since control over the ownership of the content is handled centrally and with far-reaching technical control. So far so good. However, last week a significant flaw in the D.R.M. distribution model came to light. 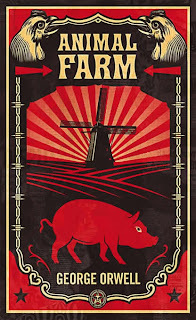 It turned out that Amazon had sold to its customers a number of e-books -including Orwell's 1984 and Animal Farm - that they did not have authorization to distribute in a digital format. By using the capabilities built in with D.R.M. Amazon was able to delete copies of those e-books (and others) directly from the memory of their Kindle subscribers. Even though their customers had already purchased those particular e-books, the works were removed when their Kindles connected to the network without explanation. Amazon did provide those consumers with a refund. It is quite ironic that the books that were deleted from individuals personal libraries just happened to include those two classic works by George Orwell. That is precisely the kind of threat that Orwell warns us about. Although there was nothing malicious or threatening about the actual action taken at Amazon, it does raise some important questions about First Amendment rights and censorship in the digital age. What safeguards are in place to prevent a corrupt government or fascist movement to take control of the flow of information using D.R.M. as a tool? The danger that D.R.M. could potentially by utilized in subversive ways to modify, change, or limit free access to literature, art, music, movies, and ideas is large. To my thinking, digitally deleting en masse a classic work such as 1984 (which already has a long history of censorship) conjures up images of books burnings and wholesale fascism. I could very easily see D.R.M. being co-opted by various interest groups to limit access to ideas and content that they find objectionable. The nightmare scenario gets worse. Every digital download with D.R.M. includes a link directly to you, and a lifetime history of your online transactions is on file somewhere. All of your reading, listening, and viewing history will someday end up in a mega-database, and who knows who will have access to that. Amazon CEO Jeff Bezos has now apologized for mass-deleting those e-books from their customers' Kindles without their permission. However, this conflict is not going to go away. The issues surrounding distribution and control of information is central to the functioning of a free society. It is a fundamental right, which arguably would override protection granted by current copyright laws. Threat of a copyright infringement lawsuit should not be used as a justification for going into the personal libraries of individuals behind their backs and destroying their reading material (virtual or not). The downside of D.R.M. software gives me the creeps. If you believe that it will always be used to the benefit of society, then you have nothing to fear. 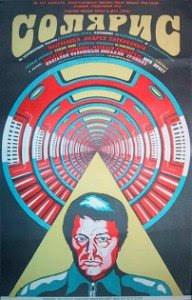 Not to be confused with a version of the Unix operating system by Sun Microsystems with the same name, Solaris is an award winning classic Russian science fiction film released in 1972 by Andrei Tarkovsky (1932-1986). It is based on a novel by Stanislaw Lem, a popular Polish science fiction writer. Like many film directors, Tarkovsky got into stage directing opera. In 1983 he directed Boris Godunov at the Royal Opera House in London with musical direction by Claudio Abbado. I rented Solaris from NetFlix and viewed the it for the first time last evening. As you can imagine, I scrutinize the soundtrack of movies very closely, and this one by Eduard Artemyev is rather good. The long movie (169 minutes) progresses slowly and is sparsely scored, but his thoughtful music and an ambient electronic soundscape appear at key locations throughout the film. The composer and director selected a chorale prelude for organ by J.S. Bach -"Ich ruf' zu dir, Herr Jesu Christ" (BWV 639) - as a musical reference point to symbolize Earth (Director Tarkovsky was a fan of Bach). In contrast Artemyev composed pure abstract electronic themes for the planet Solaris. The two sound worlds stand in direct opposition. The Bach chorale prelude appears four times throughout the film, usually at points of intense emotion. The musical iteration that caught my attention was in the penultimate scene in the film where Artemyev composed additional music on top of Bach's work. Leaving the Bach as the base, he added additional instruments into the mix. The sound quality of the following clip on YouTube is not the best, but you can hear a female voice, vibraphone, and finally strings that double with (and suspend over time) the original pitches of the chorale. It has an ethereal quality, and results in interesting sustained harmonies and thicker textures than you would normally hear in Bach. The Bach-Artemyev collaboration in the YouTube except lasts for only two minutes before Artemyev's Solaris electronic sound world emerges to end the film. At 30 miles per hour the 3rd generation Prius emits less sound pollution than an electric toothbrush. Except for a few enclaves of isolation and repression, most people on the planet are aware that our fellow humans have walked on the Moon. To date, only 12 individuals have set foot on that little piece of Swiss cheese in the sky. Forty years ago on July 16, 1969 I remember being shuffled into the Middle School auditorium on a Wednesday morning along with other kids to watch the event on television. Through the electronic portal we could see the huge Saturn rocket and its Apollo 11 crew blast off from Kennedy Space Center - live. I was just 15 years old. Watching blastoffs was so much better than regular school work. It gave me a break from my teacher, Mr. Berrardi, who tended to make my life miserable for no good reason. He was a borderline psycho. However, it wasn't until Sunday July 20th when the really exciting stuff happened. The cool-looking lunar module separated from the mother-ship orbiting around the Moon and slowly made its way down to the cratered lunar surface with two of the three astronauts from the mission. My parents had gotten my brothers and I up in the middle of the night to watch the event unfold on our little B&W TV in the kitchen. I recall that we stat in front of the tube in our underwear in the summer heat. It was four in the morning, and I don't think I had ever been awake at that ungodly hour before. My brother Larry was listening carefully to all of the communications between the astronauts and the command center back in Houston. Whenever the TV news commentator, Walter Cronkite, would make a feeble attempt to translate the terse monotone technical dialogue into plain English, Larry would get agitated and blurt out, "why doesn't he shut up so that we can hear what's going on!" Without a doubt, we were all in awe. Nothing like this had ever occurred before in the history of the world, and there we were - as a family - to see it unfold for better or worse. Everyone was well aware of the historical significance the mission embodied and about the potentially grave risks involved. It was not Science Fiction. It involved real human lives. The Lunar Module (or LM) landed without incident. People from around the world seemed to be following the story. Later we would learn that the astronauts had a hard time finding a landing spot, and had almost run out of fuel. The Lunar Module had just 25 seconds of fuel left (kind of like a commercial flight I once took on "US Scare"). Late on Monday evening July 11th, the live televised moon walk began. The family huddled in front of our little TV again. The TV set had a decent picture for its 5" screen, but we fiddled with the rabbit ears continually in an attempt to improve the reception. Then it was time for Neil Armstrong make his famous descent onto the Moon's surface. There had been much speculation about what he would utter as his first words on the dusty terrain. Of course great importance would be attributed to the first complete sentence spoken by a human on a celestrial body other than Earth. TV anchor Walter Cronkite indicated that Armstrong had been supplied with many ideas and suggestions by prominent people from around the globe - including (one would presume) from President Nixon. It would certainly land on the front page in bold type as the headline of the world's newspapers, and be interpreted and reinterpreted in the context of the Cold War, and in popular culture. In the end Armstrong came up with something a little bland and apolitical. Although not terribly poetic, it does have a historical ring to it. 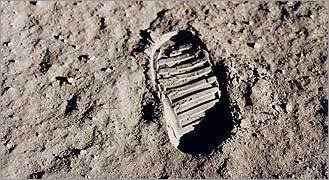 Armstrong said, with the hesitation you might expect from a child in a school play: "That's one small step for man, one giant leap for mankind." Later, astronaut Dr. Buzz Aldrin joined him on the Moon's surface. Aldrin described his first view of the Moon as "Magnificent desolation." I like Aldrin's phrase "Magnificent desolation." It's poetic and concisely describes that barren, dead world. It's odd that we had to invest so much research, time, and money to travel so far to learn that fact. Sure, we brought back some rocks, and I've seen them (even touched one) at the Smithsonian Institution. But the trip to the Moon was really about exploration for the sake of exploration. It was largely symbolic, although many benefits - such as the sugary orange drink Tang, Velcro, the handheld Dustbuster, microwave ovens, Teflon dish pans, an exciting movie about space staring Tom Hanks, and a dance step invented by Michael Jackson. All of this resulted, directly or indirectly, from NASA's massive space project begun by President Kennedy only eight years earlier. It is view of the Earth rising over the Moon's horizon as taken from by the Apollo 11 crew. This photo became iconic, and was soon available in wall size formats for average people to hang in their homes. It was a mainstay image of the time, and was used as the cover for the "Whole Earth Catalog" - the de facto owner's manual for operating the planet. Humans had traveled to the moon to discover the Earth. 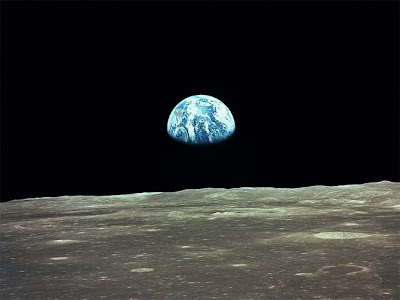 Although we discovered that the moon is a dead planet, we noticed that the Earth is amazingly beautiful, but in peril. That turned out to be the great lesson of the Apollo missions. Over time, as the number of humans who ventured into space increased, an interesting phenomenon known as the "overview effect" developed. Astronauts would arrive back on Earth with a sense of enlightenment about their home planet. After seeing for themselves the entire outline of the Earth standing alone in the vacuum of cosmos, they realized how small and precious the planet really is. It spurred a new awareness and a desire to maintain and sustain the ecological balance of the planet. The Moon was long dead, but the Earth was suddenly seen an oasis in space. It led to a change in our mindset, and R. Buckminster Fuller aptly coined the term "Spaceship Earth" to describe our mobile home. A few years later I attended a public lecture at Scarsdale High School by the famed science writer Isaac Asimov in NY State. Asimov had written many landmark Sci-Fi stories, including the Foundation Series. During the Q&A he was asked about the historic Moon landing. He relied that he had written fiction about it for decades, and he had been very confident that t he goal would be achieved someday. Walking on the Moon seemed inevitable to him, since "you could look up in the sky and see the damn thing." But he confessed that he did not anticipate one major detail. Speaking with his heavy NY accent, Dr. Asimov admitted that he did not foresee that nearly everyone on Earth would be watching the event on the Moon unfold live on television. That's what happened forty years ago this week. Navigating Manhattan is a breeze, if you know the system. Before the invention of the GPS, city planners wrote an algorithm to help citizens locate any point within the grid. Assuming you know the building number and either a North-South street name OR a East-West street name, you will be able to triangulate to your desired location. For example, if you know that the building is at #1165 Third Avenue (running North-South), using the algorithm and its associated table of Keys, you can decode that the address is at 68th street. The resulting X-Y coordinates on the grid will get you to your destination. Downtown means south of wherever you happen to be at the moment; uptown refers to all points north. Approximately 20 north-south blocks equal a mile. (14th Street) is 2.3 miles. Traffic is one-way going east on even-numbered streets. Traffic is one-way going west on odd-numbered streets. (However the major east-west streets are two-way and some smaller streets don't follow the rule). Sixth Avenue is actually named Avenue of the Americas, but New Yorkers refer to it as Sixth Avenue, regardless of what the street signs read. OK, we are ready for the heavy stuff. First, determine if you are looking to find the cross street intersecting with a North-South avenue or intersecting with a East-West street. You will use a different algorithm for each. 1) Cancel the rightmost digit of the house address. 2) Divide the remainder by 2. Avenues A, B, C, D, First, and Second: ADD 3. Some avenues are slightly more complicated. They have more Key numbers because of their length. Great! Your doing fine. A few more details, and you will be ready for your NYC Taxi-drivers exam. 1) Determine if you are on the East Side or the West Side. You can see from the addressing scheme in Tables B and C that a street address MUST include the EAST or WEST designation, since there are likely duplicate numbers in the range. I'm sure Apple has an iPhone "App for That." Lots of New Yorkers seem to have iPhones. And remember, there are always exceptions to the rule. Uluru (previously known as Ayers Rock) is a red sandstone rock that stands 1,142 feet high and measures nearly six miles in circumference. It sands in the center of Australia. 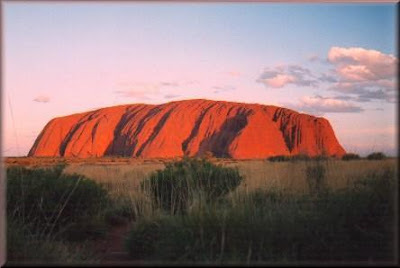 The enormous red rock is sacred to the Aboriginal people of the area. For them it holds great spiritual significance, and they request that visitors not climb it or take photographs of certain sacred areas. Much speculation has filled the airwaves about the need of a United States Culture Tzar. The position is rather common in other countries, such as France, where their Minister of Culture plays a significant role. Even before Obama took office, many people in the arts were lobbying for this position. Musician, producer, and Obama supporter Quincy Jones had relayed this idea to Obama very early in the election cycle. Tzar is not a new concept in U.S. government civil service. Functionally, it's been around for a long time. I believe President Reagon was the first to coin the Tzar title when he appointed a some to lead the war against drugs. The title has subsequently been applied to a wide range of government roles. You would think that the position of Drug Tzar and Culture Tzar would have little in common, but William Bennett (Reagan's Chairman of the National Endowment for the Humanities and Secretary of Education) ended up as President Bush Sr.'s "Drug Czar." To date more than 31 Tzars have been appointed to the Obama administration. All of them have a direct or dotted line to the President and advise him on pressing matters of the day (such as Technology, Homeland Security, or Science). By some estimates, these Tzars wield six trillion dollars in combined spending authority, and that drives the folks over at Fox News absolutely bonkers. I just want to make it known that I would be interested in the position of Culture Tzar, should it be offered to me. I can start right away. I do have a problem however with the job title. It's not that "Tzar" is a bad title, but we have have seen too much title inflation at the White House. I wouldn't want to be Tzar number 32. It just doesn't have enough prestige. There are too many other little Tzars running around. I would propose a title that was invented in 1895 by Gilbert and Sullivan and used in their comic operetta "The Mikado." Should Obama hire me, I would want to be known as the Grand Pooh-bah of Arts and Culture. Grand Pooh-bah is more artsy, and does not carry all of the negative baggage associated with the the other Tzars who tend to manage with an iron fist. That's not my management style. I would let artists do whatever they want. I'm the best Pooh-Bah for the job. he success of Twitter - or Twittermania as some of us call it - does not stem from the technology itself. The Twitter interface has been compared to citizen's band radio and chat rooms for teenagers on AOL. But the popularity of Twitter is rather a consequence of the constraints that the system places upon all the participants in their unique social network. The concept of subjecting one's self to work within the walls and boundaries of externally imposed limitations is not a notion foreign to artists. Artists have long adjusted to adapting their work to the constraints imposed upon them. Paintings need to fit within the gallery space, musical works are typically commissioned for a specific number of instruments and for a particular duration, books should not exceed a set number of pages if they are to find a publisher, buildings need to be constructed on budget and are built specifically for a particular locale, etc. The information explosion has increased the breadth of what is available to us, but at a trade-off. While the breadth of information has increased exponentially, the depth of information is shallower than ever before. Some claim it is a result the public's diminishing attention span. I think it is a matter of social bandwidth and the politics of fair and equal access to the social network for the purposes of communication. It has major implications for the publication and distribution of art and music as well. In computer networking, engineers have a term for the electrical process of gaining access to the network. It's called Access Method. For example, the Token Ring 802.5 protocol systematically rotates around a topological ring checking electronically with each node to detect if it has information to send. If an active station does have information to transmit, then that station assumes temporary ownership of the token, and then moves its message across the ring to until it finds the receiving station. Only one message can be translated at a time, but broadcasts to all stations are possible as well. An interesting point about Token Ring is that all other nodes need to wait their turn in the sequence before having an opportunity to transmit their message (if they have one). Token Ring is a systematic protocol allows all network stations equal access to the token, and the results are that over-all network communications are fast and efficient. It's an electrical engineers' vision of an ideal world. Token Ring performs well in heavily loaded networks and is proven to provide consistent and reliable service for all nodes connected to the ring. Token Ring, invented by engineers at IBM in 1985, is engineered to perform well under stress. For example, Token Ring has none of the bottlenecks or collisions that have been commonplace with the classic version of the Ethernet 802.3 protocol. Ethernet is random, statistical, and full of "bursty" information. With Ethernet, one station can lose grip with reality and jabber on endlessly - thus bringing every computer connected to the hub to its knees. So, given some of the various network protocols that are out there, Token Ring has some unique advantages that promote fair and equal access to the network for all users. Where is all of this tech talk leading? Well, the Token Ring concept is often compared to the African human protocol of the "Talking Stick." Talking Sticks are passed around to individuals at a town meeting. The person who happens to be holding the stick at any particular moment has a clear channel to speak to the assembled crowd. After expressing his or her opinion, they must must pass the Talking Stick on to the next speaker who is granted the same uninterrupted right of speech. It is a human protocol, but not unlike the carefully thought out rules of the Token Ring networking protocol in concept. No matter what kind of network we are talking about - be it electrical or social - the total amount of bandwidth available is limited. Protocols are needed to manage bandwidth and regulate who can access the medium and when. Communication must be controlled and structured for the common good, otherwise the result will be a crashed network, lost packets, or noise. Hence, by definition, our individual access to the network must be limited, constrained, and rationed. Nobody likes rationing, but there are protocols that will enforce fair and equal access to the network for all. Protocols are designed to place limits on the amount of bandwidth that an individual has a right to, and for how long they can monopolize the circuit. It imposes limitations in a fair and rational way. Artists and engineers both understand that limitations make it possible for ideas, information, and expression to thrive. In a sense, Twitter is related to this limiting factor too. In their universe messages must be 140 characters in length - or shorter. The service is often referred to as a "micro-blog." Charles Dickens would not have liked it. He wouldn't have been able to fit a complete sentence into the itty-bitty text box. Tolstoy and Wagner would have felt constrained too. Admittedly, Twitter as an application does not support the 19th century model of expression very well, but our world is much larger today, with billions of people - and like it or not they all have something to say. The beauty of Twitter is that everyone is kept to the same limitation: senators, congressmen, celebs, multi-national companies, and rock stars all get the same 140 character space to express themselves. The virtual space is somewhat analogous to Speaker's Corner at Hyde Park in London, except that the Twitter soapbox can potentially put you in front of millions of followers throughout globe - 140 characters at a time. There is a benefit for the passive consumer too. With so much information to sort through from so many sources, people are information-swamped. There is a risk of overload to the system, as in the Ethernet protocol where a rouge broadcast storm can flood the network with meaningless packets. I think we can agree that everyone citizen of the earth should have access to the Internet, but there is a question about how to manage access to the bandwidth in a fair and equitable way. The Twitter phenomenon has made me begin to wonder if the democratizing nature of their social network could be applied to brick-and-mortar society. Let's call it TwitterWorld - the Reality Show. For example, we already have term-limits for some elected officials. The President can serve for a maximum of two terms - eight years. The idea here is that new blood is needed from time to time, and other interests and viewpoints should get a turn with the "Talking Stick." I agree with the limiting nature of term limits. Change is good. We have already experienced societal pressure to compress information into increasingly concise units. Resumes should be limited to one page (hiring managers spend less than 10 seconds looking at it). People seeking employment rattle off their two-minute elevator speeches like professional Rap artists. The compression of time into a set frameworks is a human virtue. Less is more. While on a much longer scale, patent and copyright protection is only granted for a limited time-frame. At some point Micky Mouse will stop being a cash-cow (err mouse) for Disney, and leave the comfortable life of Disneyland to go off to fend for himself in the public domain. This transition will allow other cartoon figures to rise up from the cartoon network and become famous. As a result, their creators will benefit financially as Walt Disney and his successors had. It is the same concept that the IBM electrical engineers called Access Method, but on a grand scale. Perhaps the old school, brick-and-mortar social contract that entitled some people eternal access to the "Talking Stick" is nearing an end. For example, consider the concept of university tenure. I don't know of too many jobs in the 21st century that come with a life-time guarantee of employment. Not only that, an argument could be made that those individuals, who form a minority, are given long-term preferential bandwidth to the social network. Sure, it's good work if you can get it, but not everyone is so lucky. It does not benefit society overall. If TwitterWorld (the Reality Show) were to be instituted, everyone would have an equal opportunity to express themselves. Change would be encouraged by term limits in industry, government, the arts, and academia. This would result in a broader and more focused transfer of information and culture for all. Individuals who currently hold a monopoly on power will have to move over and share the toys in the sandbox. The protocols of TwitterWorld will limit their access to the network. Everyone will be restricted to only 15 minutes of fame. Period. 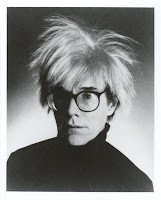 Andy Warhol did foresee that bandwidth would be democratized. However, what he missed was the notion that the 15-minutes could be an aggregate value dispersed over larger time frames. Yes, everyone will receive the electronic Talking Stick for up to 15-minutes over their lifetime, but their messages will be broadcast in the fragments, bits, and pieces. Our notoriety will take the form of sound bytes, tweets, RSS document feeds, and digital downloads. It will derive from the cumulative accumulation of our aggregate thoughts. I'm not sure if I would be completely happy in TwitterWorld after maxing out my 15-minute time allowance. Yet, there is something to be said about the concept. For the little guy who does not have an advantage of the clout, prestige, distinction, institutional support, or job-security bestowed from the brick-and-motor establishment, TwitterWorld would help to equalize the playing field. In the brick-and-mortar social network, the same old faces always seem to win the awards, land commissions, gain their bids at reelection, and receive recognition. In TwitterWorld they will have to give up their posts for a time and let new faces have a turn on the stage. I don't think that those who control and perpetuate the status quo will be happy about sharing the limelight. For this reason they will probably regard my concept of TwitterWorld as socially disruptive, disturbing, and strange. But like it or not, TwitterWorld is coming. It's only a matter of time. According to Wikipedia: Swarm describes a behaviour of an aggregate of animals of similar size and body orientation, generally moving en mass in the same direction. The term can be applied to fish, insects, birds, various microorganisms such as bacteria, and people. Dee Effers refers to a swarm of friends that formed a strong bond and community in the 1960s and early '70s. The social unit was initially based in a suburban town in New York State colloquially referred to by its residents as "DF" (the abbreviation of Dobbs Ferry). After graduating from DF Public High School, members of the Dee Effers systematically dispersed across the globe, making their mark on global politics, contemporary art, literature, drama, music, science, and technology. They infiltrated the highest ranks of society, and established a silent but global presence. The highly-decentralized organization maintains contact via email and social-media such as LinkedIn, Facebook, and to a lesser degree, blogs and Twitter. While their powerful organization is not known to the general public, the Dee Effers convene regularly in regional subgroups of the face-to-face space to periodically discuss the state of the world, its culture, and politics. While most of the earth's population was distracted by the high-profile international G-8 Summit meeting Italy, on Saturday July 11th a secret enclave of the New England Chapter of the Dee Effers was called to order to discuss and find solutions to the formative social, cultural, economic, and ecological issues facing humanity. Here is a very rare photo of regional Principals of this secret organization. From left to right: Corky, Jim, Susan, and Kim. Their last names are being withheld to protect their true identity. The secluded venue for the semi-annual meeting was the beautiful home of Kim and his wife Susannah in Concord MA. Their contemporary house is located in a quiet community embedded in a natural enclave that feels and looks like Vermont, even though it's not far from Boston proper. Kim and Susannah were joined by their two teenage children (Ellissa and Cray). Their huge friendly dog Haley kept watch over the surroundings. Susan came with her husband Tom, Corky with Kathy, and Jim with Willemien were accompanied by their 17 year-old son Joseph. Joseph and Cray, both into baseball, spent some of the time playing catch in the back yard. From those who took a swim, the report was that the water was fresh and surprisingly warm for New England. This particular pond was once a cranberry bog with seven fresh-water springs feeding it. It's also a secluded fishing hole, and a gathering place for neighbors in the community. Back at the house we continued the conversations in the kitchen and began snacking on hors d'oeuvres and sipping on wine. The action moved out to the outside deck, where the summer weather was idyllic and the food was scrumptious. Special mention should be made of Kim's superb gazpacho soup, Cathy's salad, and Susan's tart yet sweet nectarine pie - although everything on the table was delicious. After it got dark, we moved inside again to feast on Susan's pie and vanilla ice cream. I can not reveal the specific content of the Dee Effers conversation, since it is highly confidential, but I can say that it covered 40 years of history and a lot of good laughs. What struck me about the discourse was the interesting perspective we shared from our unique but individual experiences of world developments. The meetings of the group have impressively evolved from a nostalgic waxing of 1970s redux, to the discourse of a real-time interactive community that proactively thinks about and reacts to important ideas and issues of the present. It was a very productive meeting of the minds, and I think that even the associate members of the group (spouses and children) felt the good vibes that emanated from the Dee Effers discourse. Located in Manchester, New Hampshire, the Currier Museum of Art is a gem. It's a little off the beaten path for city folk, but well worth an excursion into the Granite State from the big city. While the museum is rather small, the collection is select, and contains a rather fine assortment of modern and contemporary art. There is also a good selection of old European paintings, mostly portraits and still life, including some nice Dutch artwork. In one climated-controled room, you can find a beautiful Belgian medieval tapestry. It's in the permanent collection. I was not permitted to take photographs of the special exhibit titled Turning Wood into Art but is was an amazing showcase of craftsmanship. An antisan named Bob Stocksdale has a number of interesting pieces that stand out in the show. He utilized the lathe in his work. It is amazing how wood can be carved to as thin as paper. The material itself is quite beautiful and pleasant to look at. The artists allow their material to reveal the lines and wrinkles of nature, and speak for itself. All of these wood sculptures were on loan from the Mint Museum of Craft + Design in Charlotte, North Carolina. If you visit the Currier, plan ahead and call to make a reservation for an extra tour of the The Zimmerman House (located at 223 Heather Street,Manchester, NH). 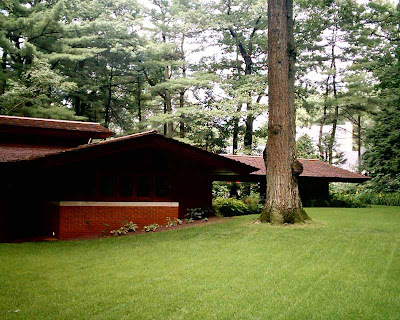 The Zimmerman House is the only residence in New England designed by Frank Lloyd Wright that is open to the public. It was commissioned by Isadore and Lucille Zimmerman in 1950. A chair from the house is on display in the Currier Museum if you don't make it to the house itself. Recommended by friends, we finally got to dine at Wagamama. It is a pan-Asian food chain that has gained some success internationally. In fact, restaurants in the chain exist across the globe in England, the Netherlands, Turkey, Australia, Dubai (UAE), Belgium, New Zealand, Egypt, Cyprus, Denmark, and Greece. There are only four Wagamama noodle restaurants in the United States, and it turns out that three of those are in the Boston-Cambridge area. We visited the Faneuil Hall Marketplace branch for our covert taste-test and blog-review. Their business model is to offer healthy and fresh Asian dishes, quickly and at an affordable price. It's not a fancy place. We were seated quickly at a large table adjoining other groups of diners. Instead of table cloths, the paper place mats serve as notepads for the high-energy waitstaff. They reach over to scribble down numeric code related to your order on your place mat, and can later deliver the sticky rice without asking which member of your party ordered it. Service is quick. Really quick. The wait staff takes your order verbally and enters it into a Wi-Fi enabled PDA, which electronically transmits it to the busy open kitchen in a flash. As soon as the dish is ready, its delivered by the waitstaff to your table on an item-by-item basis. Dishes can arrive a few minutes apart, so don't freak out others in your party get their dish ahead of you. For those of you who are shy about ordering from a menu listing of transliterated Japanese food names, everything has a number, including side-dishes. Chop sticks are the default utensil, but American metallic tableware can be requested if you are so inclined. While some of our items were listed as "spicy," we did not find them to be that hot. But over all, the quality of the food was very good and the range of selection of dishes is rather broad. Even the most particular and picky eater could find something on this menu. One little peccadillo about the Faniuel Hall restaurant is that it does not house it's own restrooms. If you need the bathroom (even to wash your hands), you will need to walk down the corridor inside the public mall. On the positive side, you may get lucky and watch a street performer at the Marketplace as you dine. There are both indoor and outdoor tables. This reviewer found the food to be tasty and the serving proportions to be rather generous. We did clean our plates, so no wagamama dogie bags were necessary - although I understand that they do have a brisk take-out service as well. Just in case you were wondering, wagamama means "wilful or naughty child." In Japanese it can be also translated as "selfish." So allow yourself to be wagamama, and go out to lunch or dinner. If you are in the Burlington VT area, and want to take in some local culture and cuisine, you may want to check out The Dutch Mill Family Restaurant on 4309 Shelburne Road (Route 7). It is just down the road from historic Shelburne Farms. To cap off the 4th of July weekend, we gathered at the Dutch Mill with friends for breakfast. It is a very busy place, so I'd recommend calling a head if you have a large party. The menu features a wide breakfast selection (available all day), and a lunch menu after 11 AM. The restaurant is open from Tuesday through Sunday from 7:30 AM to 2 PM. I loaded up on carbs, but there are healthy choices too. We inquired if the feta cheese is made with goat's milk or cow's milk, and the answer turned out to be the later. Moo. A short stack of pancakes costs $4.75, and for an extra dollar you can request pure Vermont maple syrup. You can also purchase a jug of the local syrup at the Dutch Mill to take home with you. Our host (who came originally from the Philippines) was polite and full of fun. She dealt with the the army of hungry guests with good humor and calm.